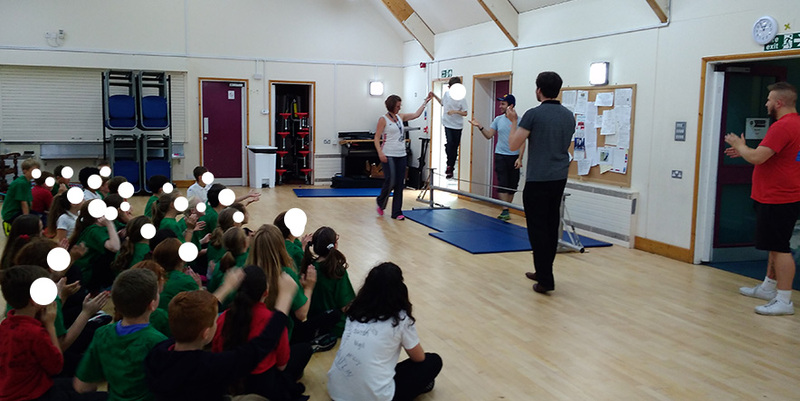 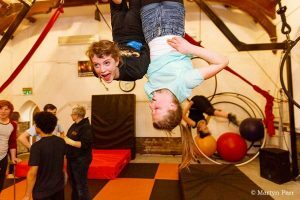 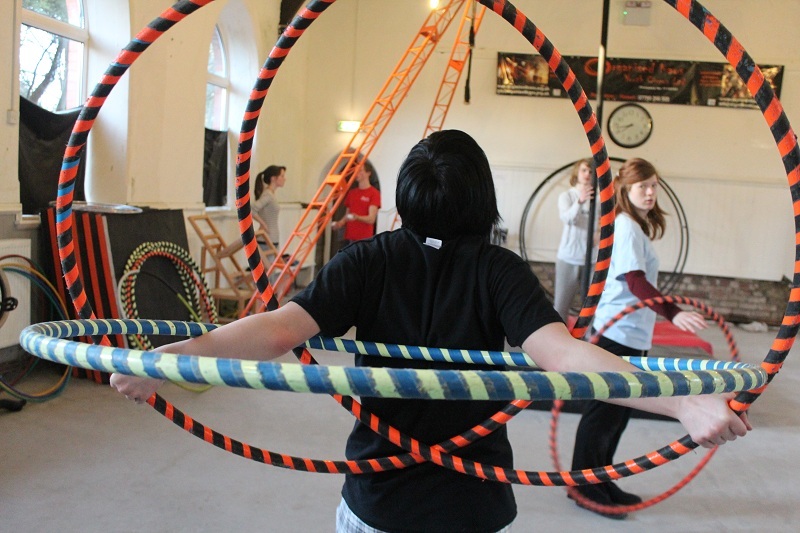 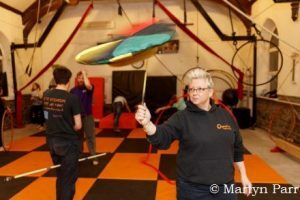 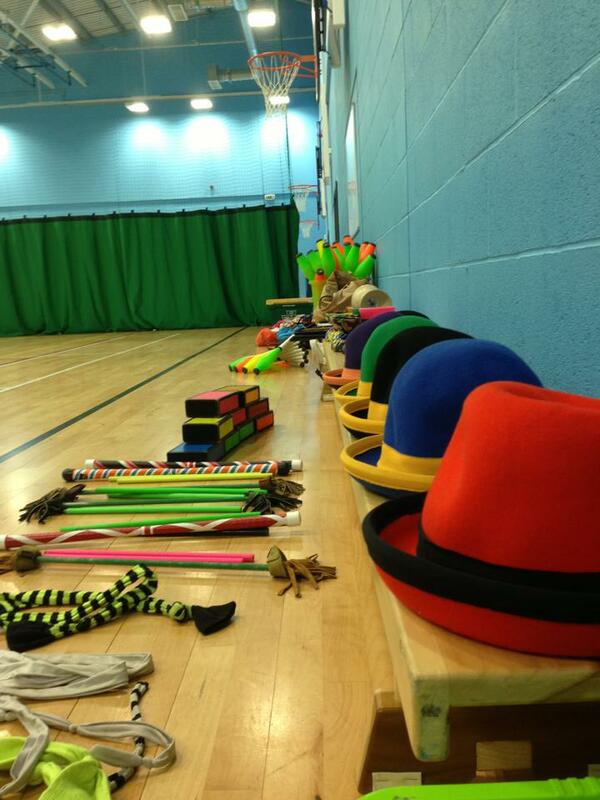 We can provide all sorts of Circus Workshop engagement with your School. 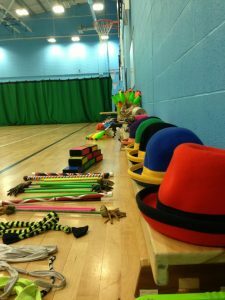 We do Fun Day sessions, end-of-term Fun days, one-off workshops, workshops leading up to a performance day and longer programs… whatever your needs we can deliver. 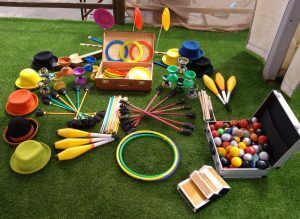 Our workshop skills include: Juggling, Diabolo, Flower-stick, Hat, Spinning Plate, Hand-held stilts, Cigar-box, Pedal-Go, Staves. 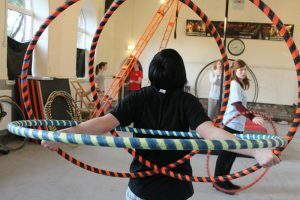 And can add: Tightwire, Rola-Bola, Unicycle, Walking Globe, Acrobatic-balancing. More seriously, we have developed a range of school based learning and performance training workshops that are suitable for all ages and abilities, which fit comfortably with, and compliment the National Curriculum. 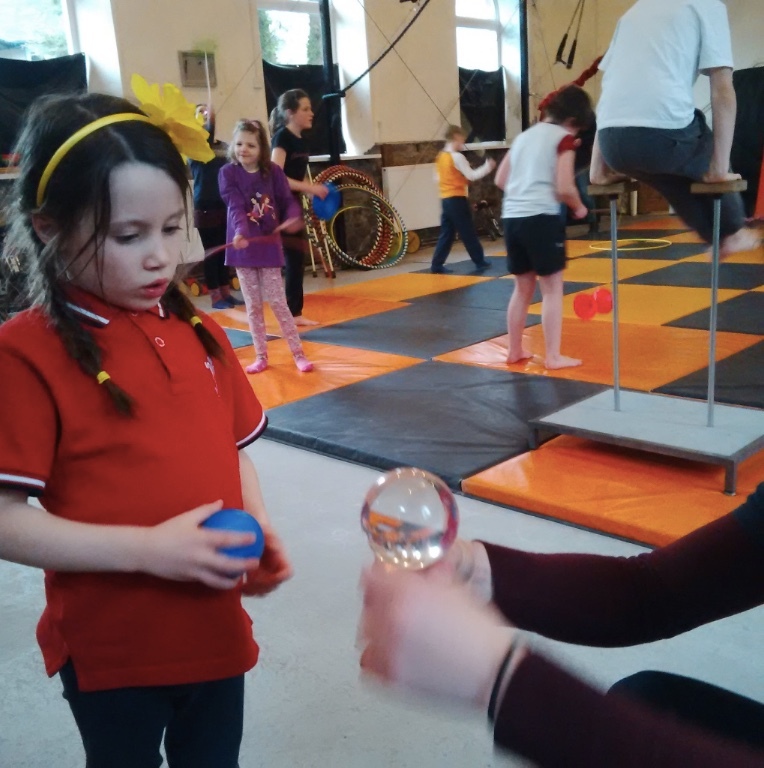 Our “Play To Performance Course” (10 weeks) is a skills development programme leading to final production. We can link our Circus Workshops to STEM with our Space Circus: The Science of Circus booklet. Please contact us for more information, we can discuss your requirements and put you in touch with previous clients so you can see for yourself the positive results! 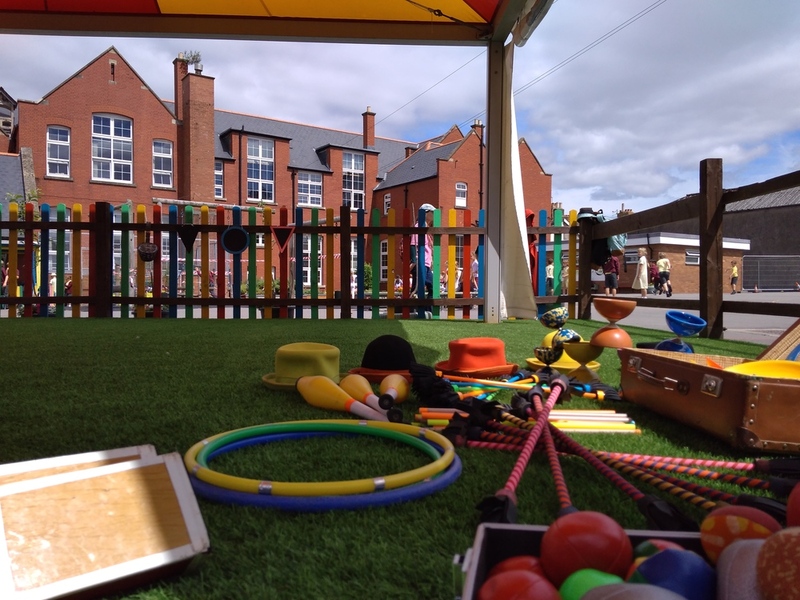 We have a proven track record of working with all types of educational establishments.